An automated workforce will replace human labor someday, but not as soon as some frightening predictions suggest, according to a new study by the McKinsey Global Institute. The experts analyzed more than 2,000 work activities across 800 occupations, breaking down jobs into tasks. “Almost half the activities people are paid almost $16 trillion in wages to do in the global economy have the potential to be automated by adapting currently demonstrated technology,” the report says. 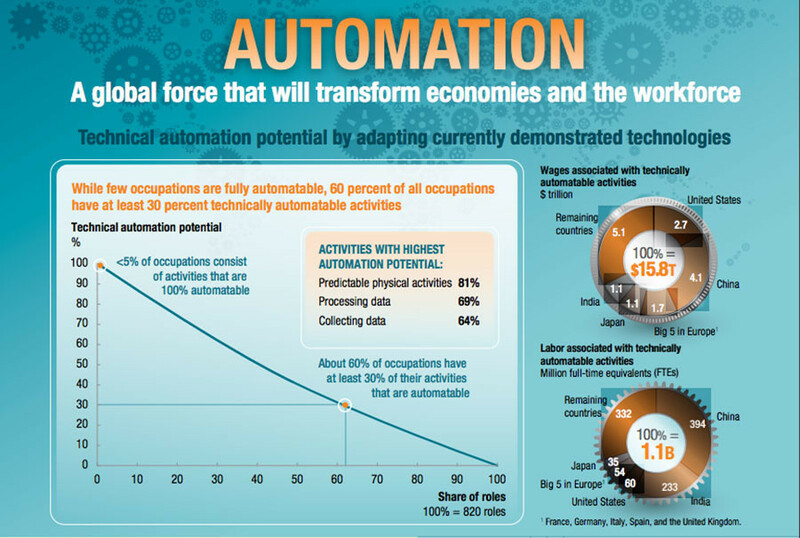 However, less than five percent of all occupations can be automated entirely, according to the analysts. “About 60 percent of all occupations have at least 30 percent of constituent activities that could be automated,” they say, stressing that more trades would change than be automated away. “This is going to take decades. How automation affects employment will not be decided simply by what is technically feasible, which is what technologists tend to focus on,” said James Manyika, a director of the Institute and an author of the report, as quoted by The New York Times. 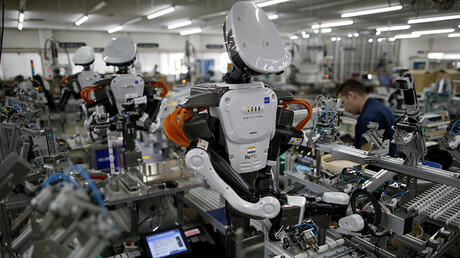 Calculations between automation and jobs vary widely. More than three years ago, researchers from Oxford University concluded that 47 percent of jobs in the US were at risk from automation. 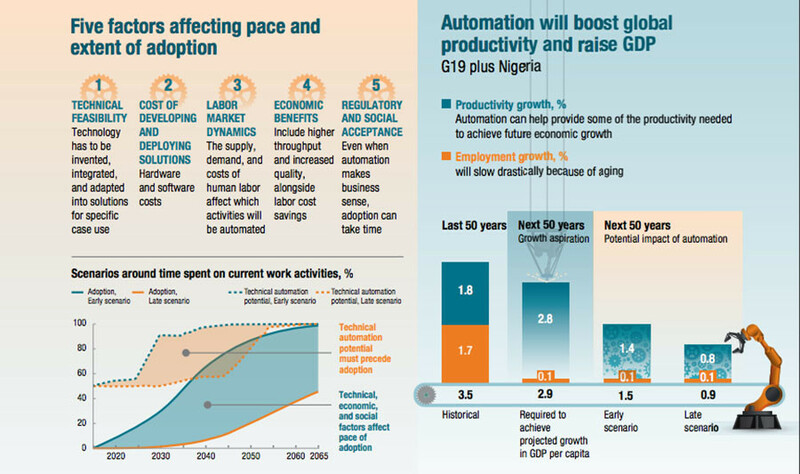 At the same time, a study presented last year by the Organization for Economic Cooperation and Development estimated that across its 21 member-countries, an average nine percent of jobs could be automated. McKinsey Global Institute says physical activities in highly structured and predictable environments, as well as the collection and processing of data, are the most susceptible to automation. “They are most prevalent in manufacturing, accommodation and food service, and retail trade, and include some middle-skill jobs,” the report reads. Technical, economic, and social factors will determine the pace and extent of automation, according to the paper. 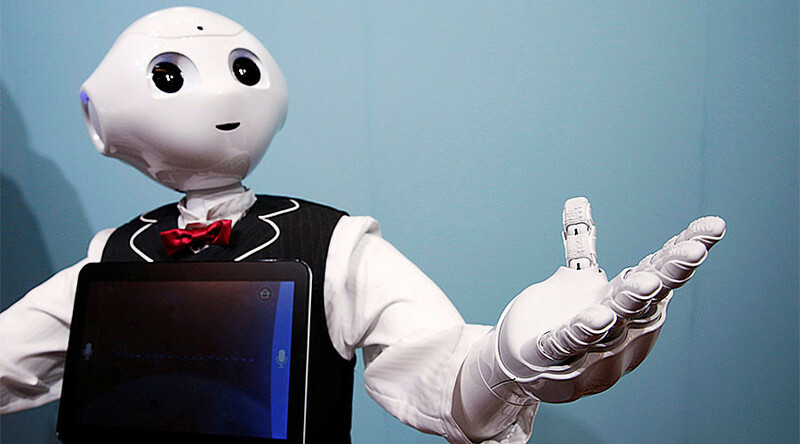 “Our scenarios suggest that half of today’s work activities could be automated by 2055, but this could happen up to 20 years earlier or later depending on the various factors, in addition to other wider economic conditions,” the experts highlight.